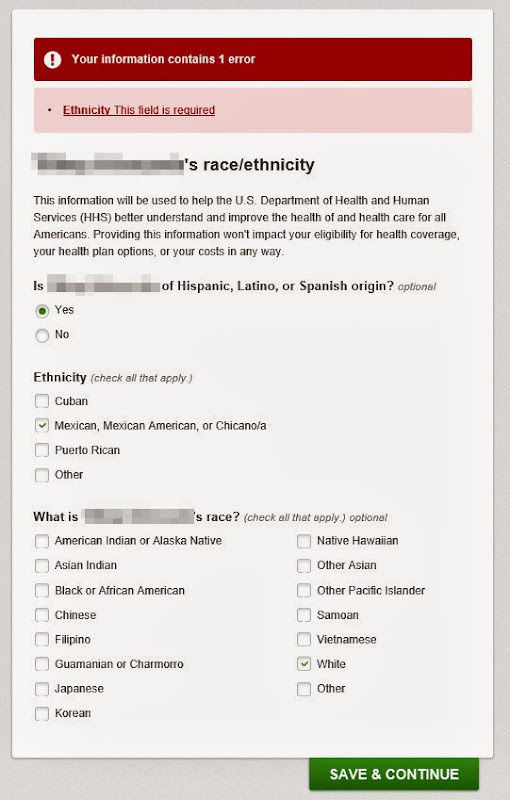 The Healthcare.gov insurance application asks the usual optional questions about race and ethnicity. Although the system says these are optional, radio buttons are used to make the selections. Therefore, if one clicks a button (accidentally or intentionally), there is no option remove the selection. This then puts the applicant in a position that they are forced to answer an optional question. Furthermore, as I clicked around in an attempt to truthfully not answer the question I was being forced to answer, I got the form into a state that it would not let me continue even when I answered the required optional questions.